"I usually do not try new doctors without recommendation but was so thrilled I did. Dr. Roussel is not only a great chiropractor but also a good person who genuinely cares about his patients. He takes his time with each patient and actually listens to everything we have to say and is not thinking about rushing to the next room. He has new techniques for some adjustments I have never seen before and they work! He works on making the entire body well again. He taught me new physical therapy exercises to help with my sciatica and lower back pain which began with building my core (which no one else had ever recommended). I went to him one visit with a migraine that would not go away and he kept adjusting until he got that one spot that was out to go back in and I immediately felt relief! My parents are now patients and absolutely love Dr. Roussel and travel from Harahan to Destrehan 3 times a week to see him. I could go on and on about what a great chiropractor and person he is but seeing is believing. So make the drive from wherever you are, you will not be disappointed!!!" - Dawn W.
"Whether you need a light adjustment after work or something more after a tough workout, Dr Adam will customize your care to meet your needs. I have been a patient for over a year. I feel renewed after every visit. I also enjoy Carol's amazing massages. The whole staff is kind, caring and laid back. I'm so lucky to have Dr Adam so close!!!" - Kristin T.
"My shoulder is good as new after Dr. Roussel used those magic hands!! I am back to lifting heavy weights with no pain now!" - Troy C.
"Very good service, friendly staff and positive results!" - Larry S.
"I read meters for a living so I'm constantly on my feet walking miles a day. I also workout, so overall my body takes a beating every week. A crossfit buddy of mine recommended I see a chiropractor because of pain I was having. I honestly just chose the nearest doctors office. I must have amazing luck because I am well pleased patient of Dr. Adam. Not only was I treated amazingly by everyone and I feel like family but he educates me on what's going on with my body. I had no clue how much my whole spine relates to my entire body. I recently suffered shoulder injuries and with the sessions that I have been through I'm 100% and ready to roll!" - Nicholas M.
"Dr. Roussel is great. I never have a problem getting an appointment and I always leave feeling better. I recommend him to everyone. The massages always relieve the tension and adjustments help me stay limber." - Woody C.
"I went to Dr. Roussel for my headaches and neck pain. His hands are magical and made the pain disappear in just a couple of visits. Thank you!" 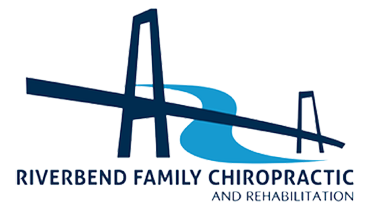 - Katie M.
"Dr. Roussel is a great chiropractor and is always willing to help in any way possible. I would definitely recommend Dr.Roussel" - Chip H.
"Dr Adam helped me out when I was in a lot of pain. Would definitely recommend him. My 90 year old grandmother even drove from Baton Rouge to see him and was very happy with the results." - Michael J. "I hadn't felt so good since before the accident I was in. Dr. Adam is a great doctor and I will continue to make future visits." - Jonathan W.
"I came in with severe pain in my neck and shoulder. Dr. Roussel took the time by asking questions and evaluating me to determine the cause of pain. He showed me stretches that I could do at home, as well as set up treatment with an end in mind. The whole time, the goal was to get better. After one treatment, the pain was significantly lower. By my last treatment (visit 4), the pain was gone." 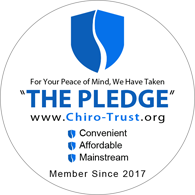 - Daniel M.
"Dr. Roussel, compared to other chiropractors I've visited, is willing and knowledgeable to attempt a variety of techniques to get to the root of the pain, and he does well coaching prevention of pain....I would say the greatest benefit I've experienced as part of this treatment is the ability to pick up and carry my children again (ages 2, 4 and 7)." - Kevin M.